This year’s Inglis Classic Yearling Sale in Sydney is about much more than just a horse auction. It’s a 10 day equine event thanks to the inaugural Inglis Race Day, which features the $2m Inglis Millennium (1200m) for 2YOs and $1m Inglis Sprint (1100m) for 3YOs. On the track, it’s going to be the biggest race meeting south west Sydney has ever witnessed, with over $4m in prizemoney; not only are there the two Inglis races but also the Group 2 Breeders Classic, Group 3 Eskimo Prince Stakes and Listed Lonhro Plate. 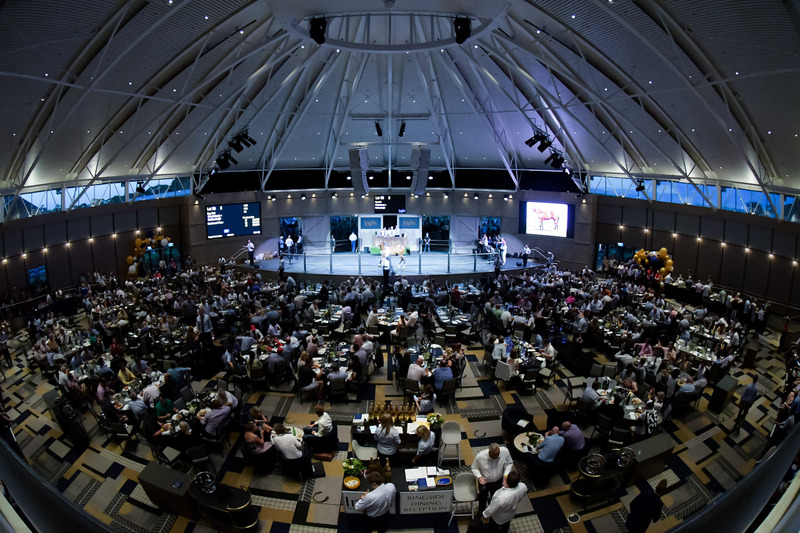 Off the track, it is shaping as the biggest and best Classic Yearling Sale in Inglis’ history. It all starts with official inspections at Riverside Stables on Tuesday February 5, where the 1013 horses catalogued for the sale will be on site and ready for buyers to take a first – or another – look at their prospective future stars. That same day Riverside will host a live barrier draw of the Inglis Millennium, the newest 2YO race on the Australian calendar for which the Golden Slipper is the only juvenile race worth more money. In a stunning Classic catalogue, there are relations to 76 Stakes winners including Group 1 winners such as Youngstar, Your Song, Under the Louvre, In Her Time, Headway, Long John, Questing New and Signify. There are also progeny of 103 Stakes-winning mares including 10 Group 1 winners. Progeny of 110 sires including Snitzel, I Am Invincible, Zoustar, Exceed And Excel, Fastnet Rock, Written Tycoon, Hinchinbrook, Lonhro, Not A Single Doubt, Pierro, Sebring, Spirit of Boom, Star Witness and Choisir are represented as well as 22 First Season Sires such as Vancouver, Pride of Dubai, Exosphere, Press Statement, No Nay Never, Super One, Rich Enuff, Bull Point, Contributer, Criterion, Headwater, Kermadec, Outreach, Panzer Division and Real Impact.